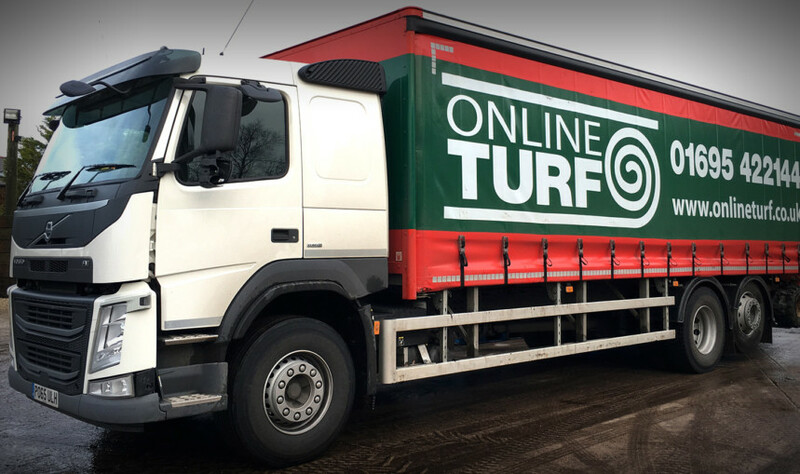 To deliver nationwide Online Turf use national pallet networks which cover the UK, with local depots in every postcode area. For deliveries more local to us, mainly around the Liverpool and West Lancashire area, we have our own local delivery driver and an 18 tonne delivery wagon. Our delivery driver Neil has recently been treated to a shiny new wagon with a fresh new curtain design. Neil is one of our longest standing members of the team, working with us for over 20 years, and now has a new wagon as reliable as him!